Did you ever think that living in the middle of nature directly in Munich was possible? That urban infrastructure and an idyllic environment didn’t necessarily need to be mutually exclusive? “Lohengrün” in Lochhausen is proof that they do exist, these peaceful and highly livable areas of Munich. 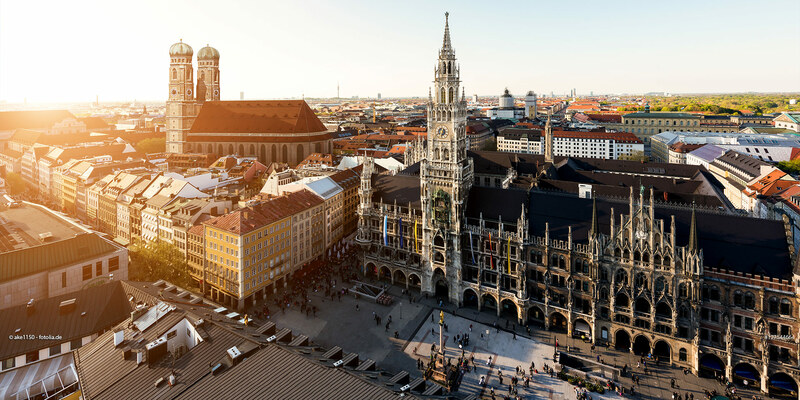 In western Munich, where others go on outings, you could live in a green neighborhood surrounded by a seemingly endless range of free time activities. The simple ensemble of just four buildings makes the most of the sun. The gardens face southwest and the distances between the buildings are sufficiently spacious to ensure that each condominium receives plenty of sunlight. Greenery and nature everywhere. It doesn’t get much closer to nature than this. Lochhausen belongs to Munich’s 22nd district, Aubing-Lochhausen-Langwied, the largest yet least densely populated in the city. Thanks to its green and forested patches, the west of Munich is a popular destination for those who need nature, relaxation and tranquility. 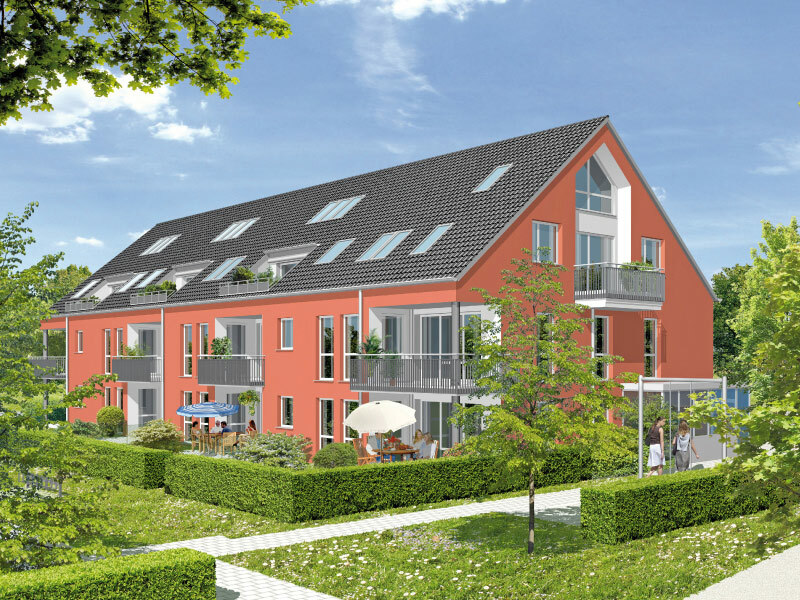 Despite its idyllic location, Lochhausen is also optimally connected to the city, allowing you to go from garden to boutique, from rustic community life to the urban scene in a matter of minutes. 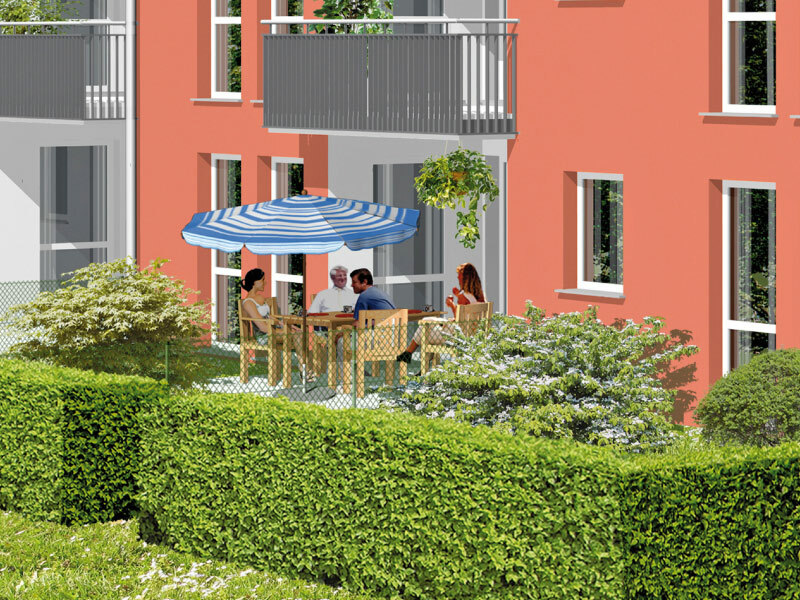 Lochhausen is perfect for people who appreciate having a place of peace in an active, urban life. Lochhausen: where Munich catches its breath. Enjoy nature and city life – every day. Thanks to the short, convenient routes between Lochhausen and your favorite destinations, you can act on your spontaneous impulses. Whether it’s a stroll along Maximilianstraße, a bike ride through the forests or a dip in the pond, everything is in near reach. Free time enjoyment can add significant benefits to everyday life: your daily commute is reduced to a minimum, increasing the amount of quality time you have for your personal life. When you live in Lochhausen, it’s just a short distance back to a relaxing environment after an eventful day. Lochhausen: Here, city and nature meet halfway. 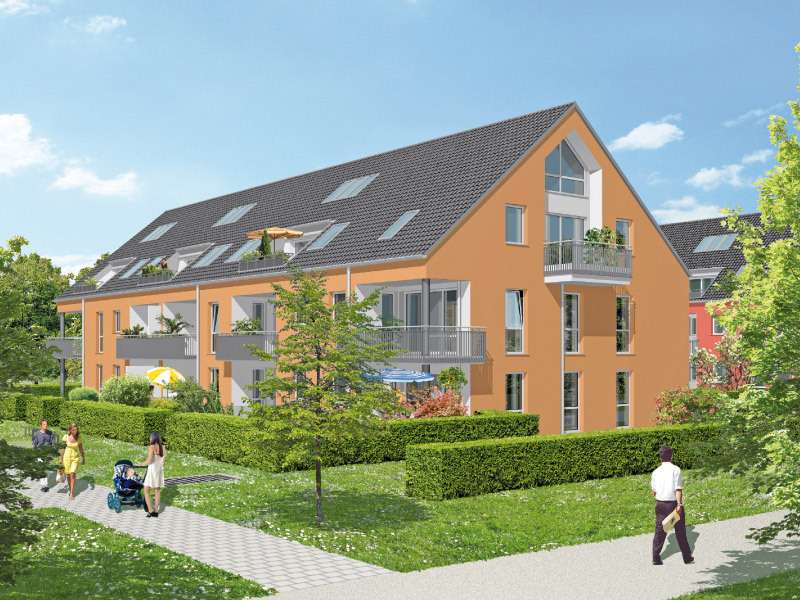 “Lohengrün” is located on the outskirts of Lochhausen and merges into to its natural surroundings: each ground-floor condominium has its own private garden, and fields and meadows are, in the truest sense, right in your backyard. Foot paths and hiking trails are also right at your front door. 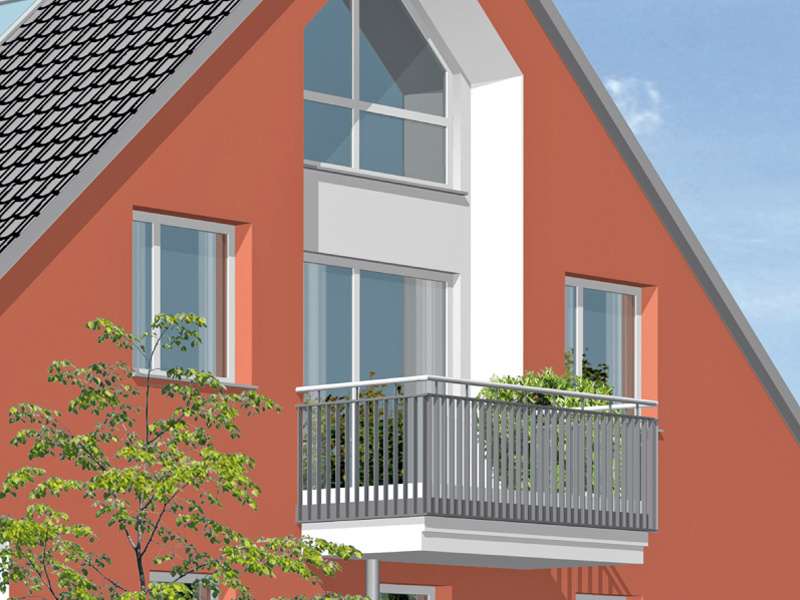 “Lohengrün” is located in a particularly quiet area, at the end of a cul-de-sac with no thru traffic. The nearby elementary school (Grundschule) and public child day care center, which are only about 200 meters away, gives a sense of security. And to add to the family-friendly location, the butcher and bakery are just a quick bike ride away, and the commuter train station is just a few blocks down the road. Children will love going on care-free adventures in nature, and adults will enjoy the rural environment.